The six members of ST☆RISH, who have made their shocking idol debut, and Nanami Haruka, who has just begun her career as a composer, have advanced to Saotome Academy's master course. As they continue their lessons in earnest to learn how to be top idols and composers, they join Shining Agency and begin to work as entertainers. But before that, some senpai idols and strange foreign idols with a few odd habits stand before them, and they end up getting dragged into the race for a mysterious "Newcomer Award." 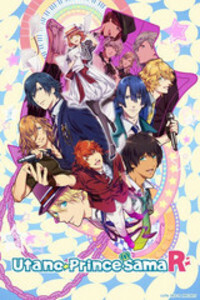 Can ST☆RISH and Haruka make their dreams come true in the entertainment industry?! A song that shines brighter than a hundred million kisses blasts at 2000% power in this romantic comedy!